This revised 2nd edition is a completely new and unique approach to the subject, redesigned to be the essential clinical reference for anyone who treats emergency eye conditions in the primary care setting or emergency room. Well-presented information in a clear, clinical approach incorporates useful tables, charts, bullet points, and numerous color illustrations. Step-by-step guidelines lead the reader through practical diagnosis and management of commonly presenting eye problems. 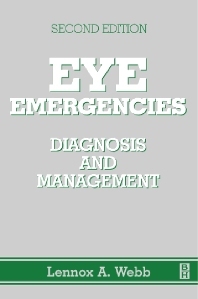 Its unique layout, decision-making pathways, concise coverage, and down-to-earth advice make it an essential resource for the accurate diagnosis and rapid management of eye emergencies. Spiral-bound handbook format is ideal for clinical use. Each condition is presented on its own page spread, with step-by-step guidelines to treatment. All key information is available at a glance, succinctly presented with full-color illustrations in a convenient layout. Clinical pearls and practical advice offer valuable insight on the most effective methods of treatment. All essential charts, tests and tables are collected and presented in one resource.